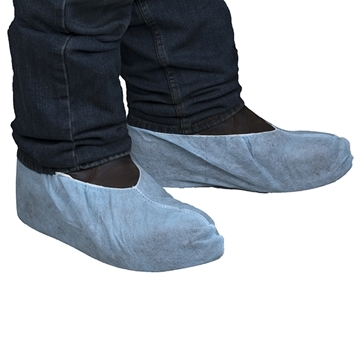 Rubber work boots and disposable boot covers for use around hog, chicken, turkey and livestock farms. 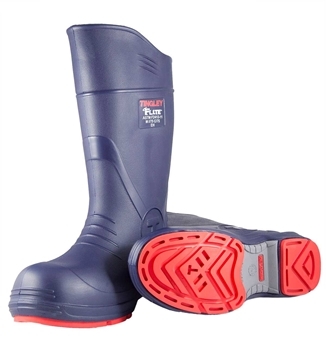 Rubber boots are durable enough to handle daily use while also easy to clean and disinfect. 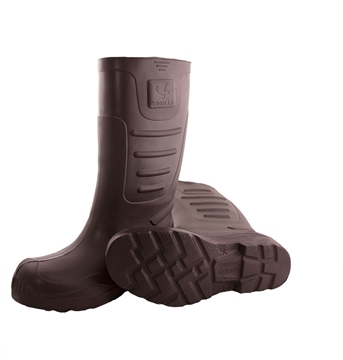 Our Chorelite boots are the lightest boots for use on swine and poultry farms. 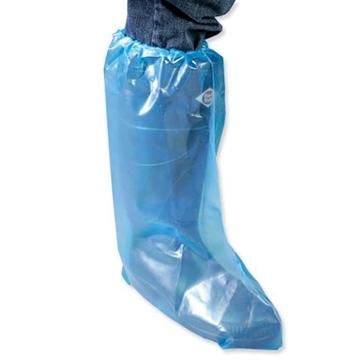 Use the disposable boot cover options when visiting other production areas or locations that could potentially transmit disease causing pathogens. 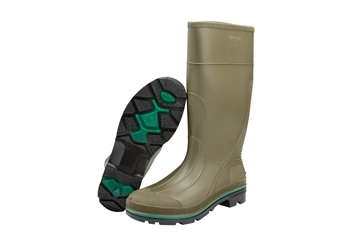 Lightweight, yet durable, these boots are 100% waterproof and have cleated outsoles for traction and slip resistance in wet and muddy conditions. 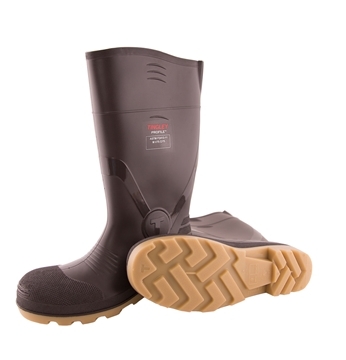 Made from Aerex 1.5.5™ – a proprietary, chemical-resistant, thermally-insulative, microcellular polymer, resulting in boots that are over 40% lighter compared to most steel toe PVC and rubber knee boots. 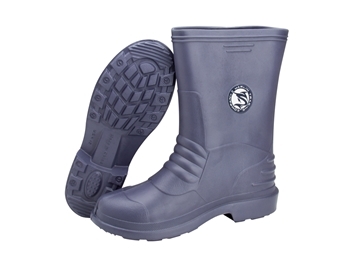 Lightweight upper, cushioned heel, slip-resistant nitrile rubber outsole and composite toe provide superior comfort and safety. 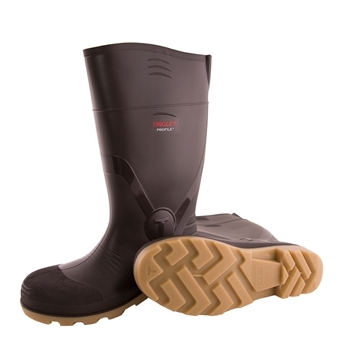 The Tingley® Profile™ knee boot is formulated with high quality PVC resins and Frigiflex® low temperature additives. 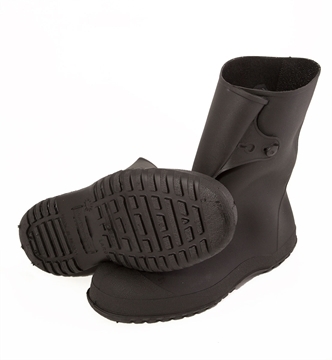 The result is a boot that has good abrasion resistance and excellent flexibility in cold temperatures. 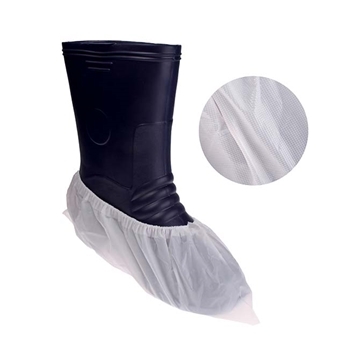 Liquid-proof, disposable and economical Tingley Boot Saver® shoe covers are ideal for preventing pathogen transmission and cross-contamination. 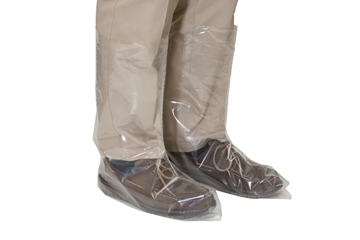 4 mil thick plastic disposable boot covers. Priced/sold per pair. Anti-Skid Sole, 18" High, PVC Textured, White, 100 covers (50 pairs) per box. Perfect for minimizing the transfer and spread of disease pathogens, animal waste and mud/dirt. Disposable, intended for single use applications. Embossed textured plastic is lightweight yet durable. 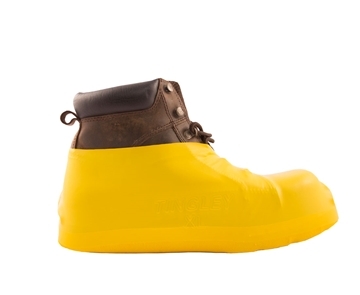 Fits up to size 13 boot. 25 pairs (50 pieces) per bag. 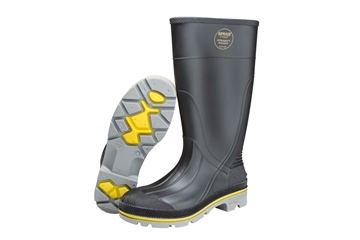 15" plastic boot cover with elastic tops for easy on/off use. Disposable, intended for single use applications. 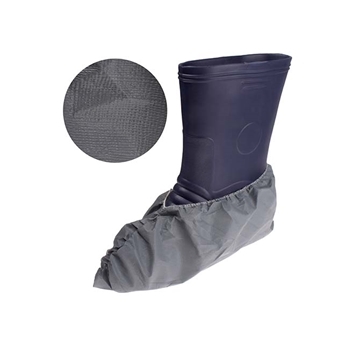 SafeTrack-HD® High Traction boot/shoe covers. Laminated fabric is skid resistant, seamless and waterproof. 200 covers (100 pairs) per box. Gray. 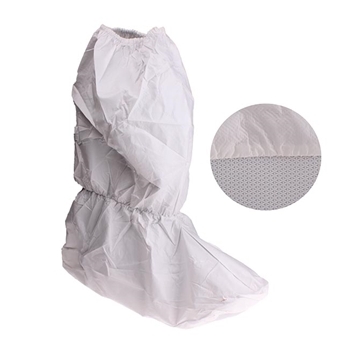 6 Mil Textured White boot/shoe covers. Elastic top, seamless and waterproof. 300 covers (150 pairs) per box. 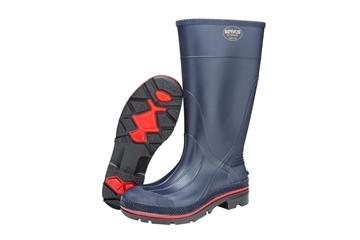 6" blue polypropylene boot cover. Elastic tops for easy on/off use. Disposable, intended for single use applications. 150 covers (75 pairs) per box.